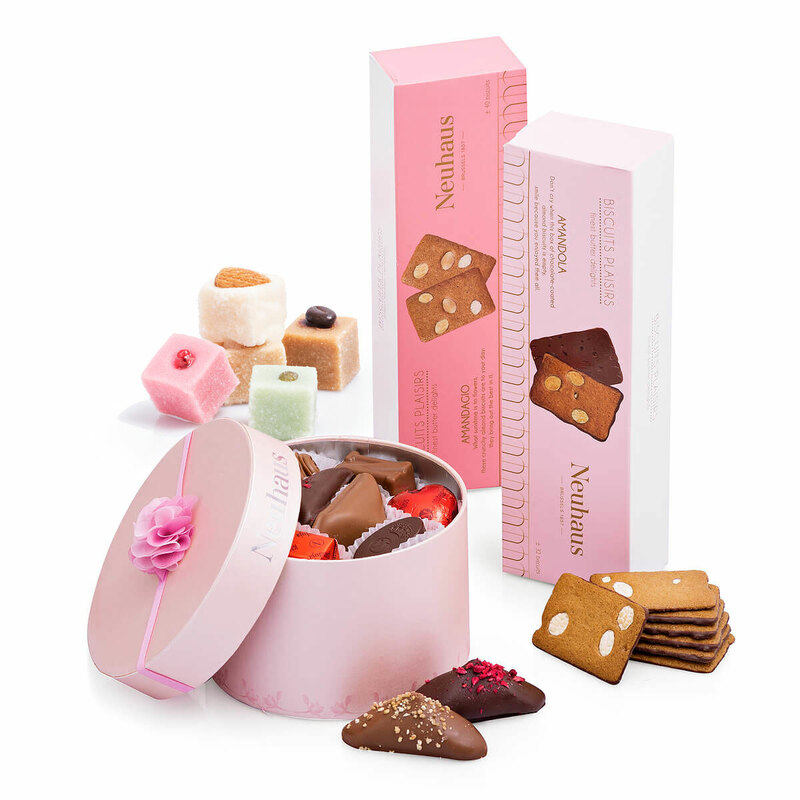 Delight your loved ones with this scrumptious collection of Neuhaus sweets, all in the prettiest pink. The luxury Belgian chocolates, European biscuits, and soft marzipans will make it a sweet celebration! 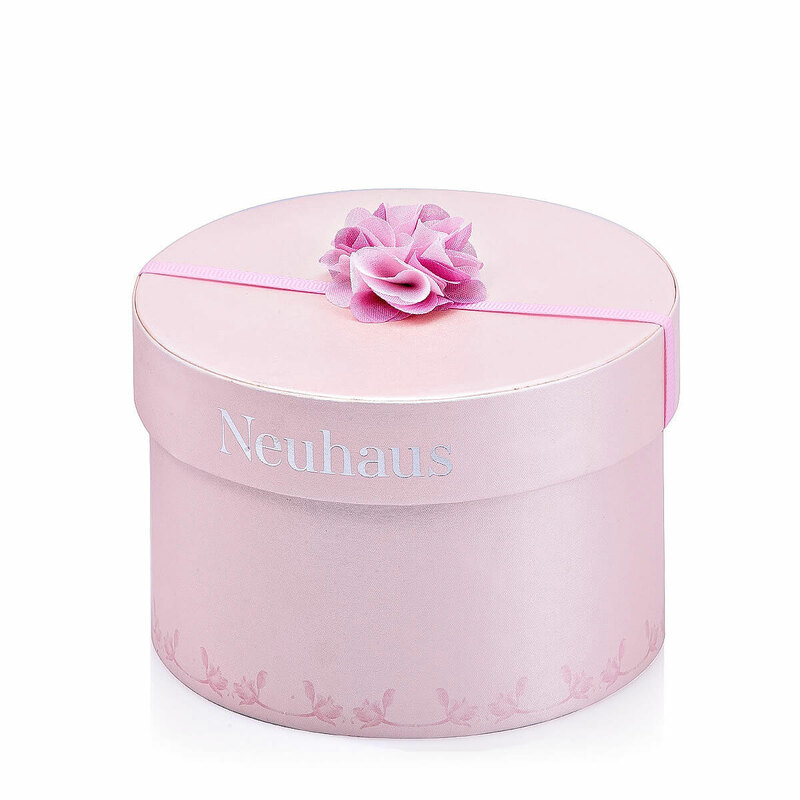 The feminine pink round gift box is filled with an irresistible collection of 16 luxury Neuhaus Belgian chocolates. Decorated with a pretty pink flower and ribbon, the gift box is a lovely keepsake long after the pralines have been enjoyed. 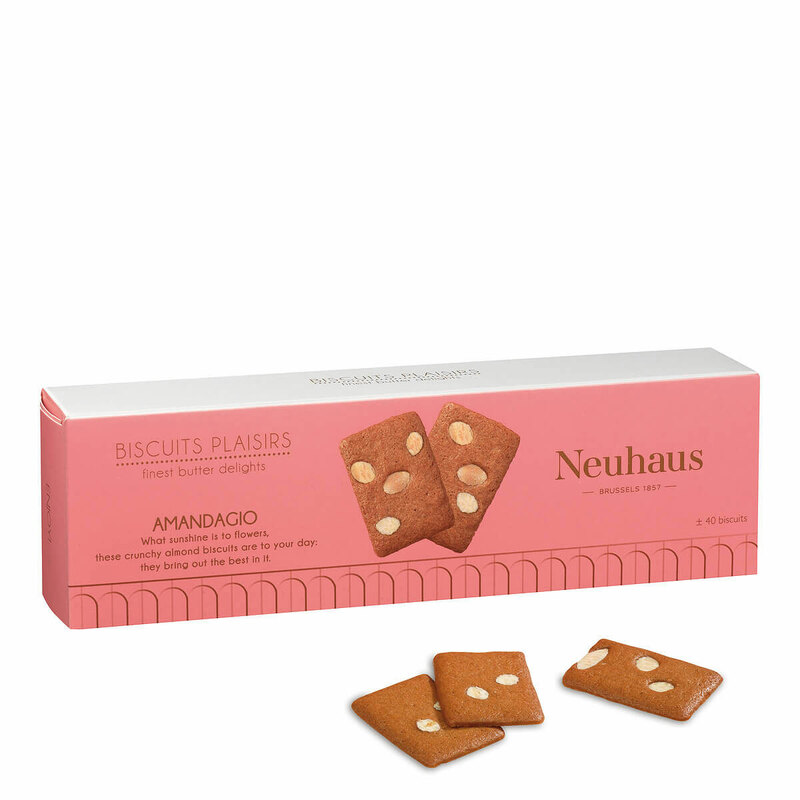 Neuhaus European gourmet biscuits are a favorite treat to enjoy any time of the day. Included are the brand-new Amandola biscuits and the classic Amandagio. Both flavors are delicious almond biscuits made according to a traditional recipe using fresh butter and almonds. 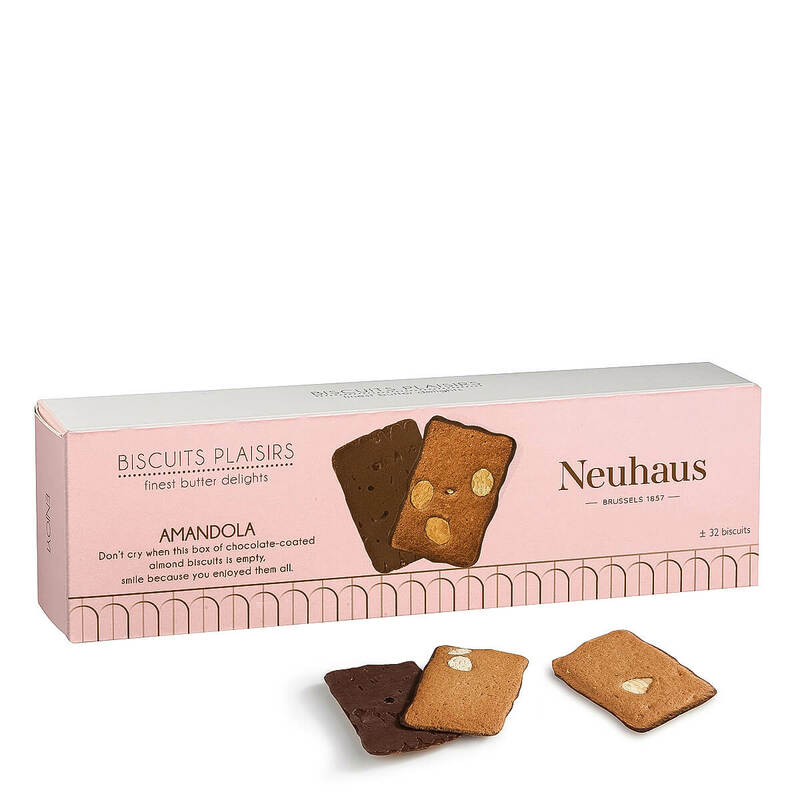 The Amandola cookies are coated with a rich dark Belgian chocolate on one side. Scrumptious Neuhaus marzipans in soft colors capture the joy of a perfect spring or summer's day. Tied with a pretty pink bow, they are a wonderful addition to this lovely gift set.